Recent vCenter versions (vSphere 5.5 Update 2d) have implemented some limitation when is read performance data. You might experience it when you have large number of VMs (more than 64 VMs). It results in all VMs graphs of MEM, DISK, NET, SWAP and COMP are all blank in the UI. Fault string: This operation is restricted by the administrator - 'vpxd.stats.maxQueryMetrics'. Contact your system administrator. 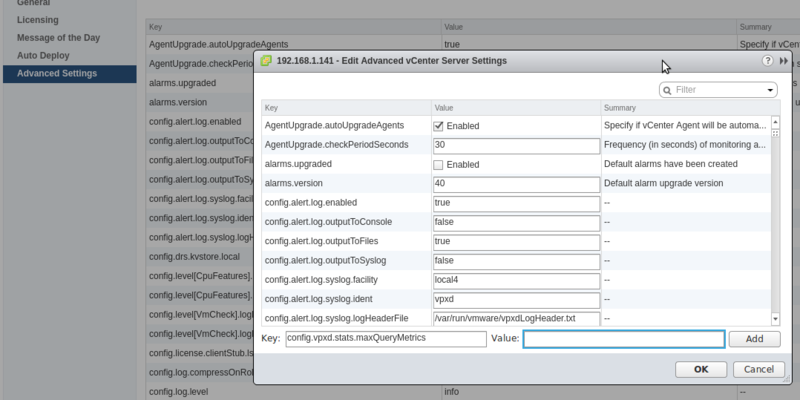 The query size of N metrics exceeded the config.vpxd.stats.maxQueryMetrics limit of 64 metrics. Dropping. The amount of 64 is the default value, so it should be always the same as long as you did not change it. It is all about a new "Feature" in VMwares new vSphere 6.0. 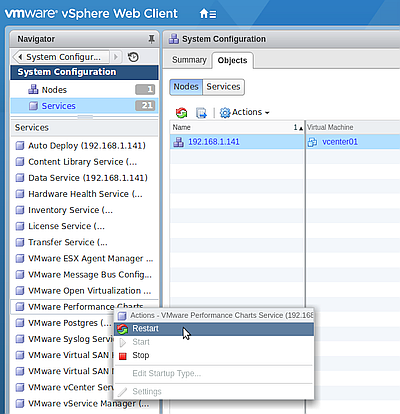 To be more specific it is located in the vCenter and it is a setting that limits the maximum performance metric database queries to a threshold of 64. Which is fairly low when you are planning to collect performance data for your whole vSphere. As VMware says on their knowledgebase this features should protect your vCenter from getting spammed by those requests, because that kind of spam could slow/shut down the performance of the vCenter. 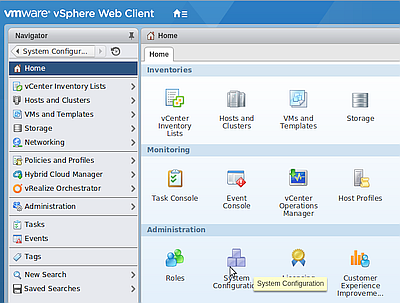 This "Feature" is controlled via two settings on the VMware vCenter (Appliance). 2. To change the second parameter you have to edit the web.xml file. 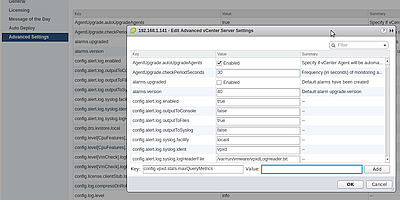 You can find it on the windows based vCenter Server at C:ProgramDataVMwarevCenterServerdataperfchartstc-instancewebappsstatsreportWEB-INFweb.xml or for the vCenter Server Appliance at /usr/lib/vmware-perfcharts/tc-instance/webapps/statsreport/WEB-INF/web.xml . Press esc-key and ":wq" to write and quit. Here we go. Your vSphere is now capable to provide you with as much performance metrics database requests as you might need!